Kung Fu Rooster Slots is the latest Realtime Gaming slot machine released in July 2017 to celebrate the Chinese New Year. 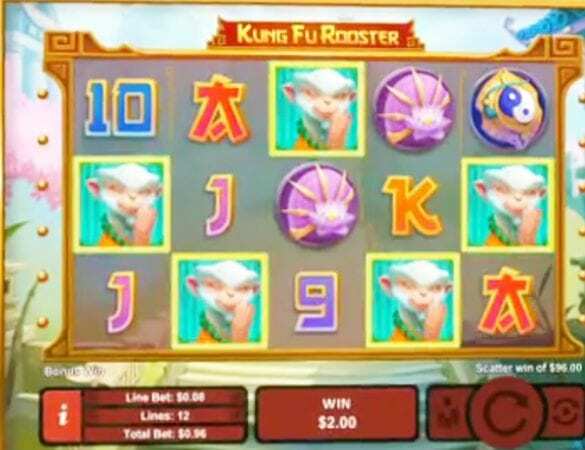 Realtime Gaming released Kung Fu Rooster Slots one month after they released the brand new Cash Bandits 2 slot machine. 2017 is the year of the Rooster, and it appears that it is time to bring in a fortune and make your way for some income good luck. 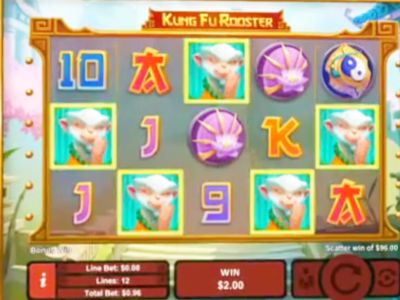 Kung Fu Rooster Slots features five reels with twelve pay lines. Realtime Gaming software powers this video slot machine that is compatible with the majority of mobile devices. Enjoy excellent features like The Fire Claw Multiplier, The Wild Rooster, The Scatter Monkey and even more fun ways to win. The Kung Fu Rooster slot machine has spectacular three-dimensional graphics. The gameplay is excellent, and the symbols are clear and crisp, just like the recent Realtime Gaming casino games. The betting starts at one cent but can go up to one hundred twenty-five dollars. We always recommend that you start off betting small limits and increase your wagers as your feel comfortable. The Kung Fu Rooster slot machine has some great wins, but you will need to take advantage of the multipliers, which means that more you gamble the more you win playing this game. You will see some traditional poker playing card symbols on the reels. Realtime Gaming could have gone the extra mile and made more Asian themed icons in our opinion. The other symbols like the Monkey, Roosters, and the other animals have excellent graphics. The two most important symbols in the Kung Fu Rooster slot machine are the Monkey and the Rooster. The wild symbol is the rooster, which means when you land the wild rooster she will replace all of the other icons except the scatter to form a better combination. The scatter symbol is the monkey, and the Monkey and The Rooster will serve up the majority of the wins in this game.